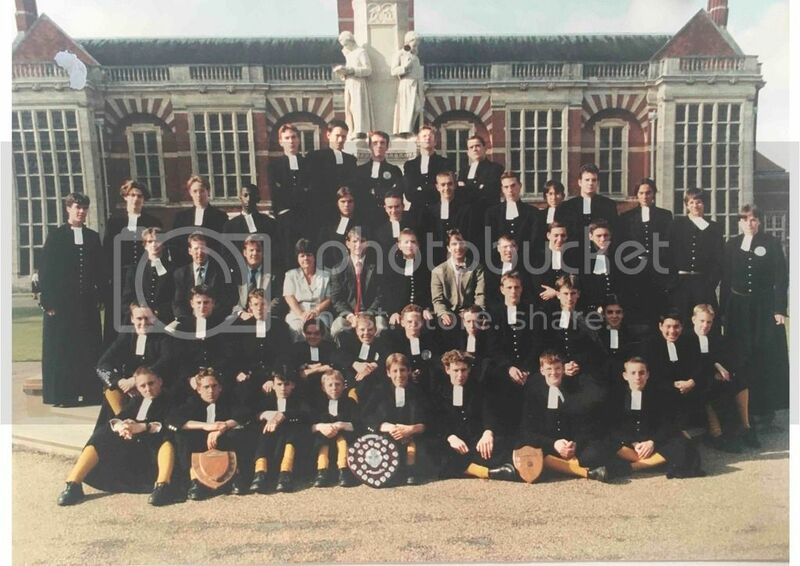 OK, so I happened to come across this one a few days ago...Thornton B, 1985 I think. Last edited by BTaylor on Thu Mar 02, 2006 10:03 am, edited 2 times in total. Miles A, Porter, Tee, Thomson, Chandler, Harris, Cotton, Prodger, Drury. Underwood, Harding, Duff, Johnson, Pegler, Holmes, Hartley, Byham, Stuart, Spradbrow, Martin, McLean. Cope, Stone, Wiremu, Jenkinson, Talbot, Sebright, PeglerJ, Gibbs, Miles M, Webber M.
McTurk, Cedeboer(ex Ba.B), Timms C., Mr.Collyer, Mr.Page, Miss Dalziel, Ball, Linton, Clarke, Ironmonger. Walter, Lang, Lee-Wright,S teel, Needham, Pott S, Pott A, Dearsley, Timms S, Binnington, Webber S.
Last edited by jtaylor on Wed Apr 20, 2005 10:01 pm, edited 1 time in total. Underwood, Hartley, Holmes, Pegler, Miles A, Johnson. Stone, Jenkinson, Sebright, Duff, Stuart, Harding, Spradbrow, Martin, Mclean, Byham, Pegler J, Gibbs,M iles M.
Webber M, Pott A, Wimeru, Needham, Steel, Cope, Pott S, Talbot, Lang, Lee-Wright, Dearsley, Binnington. 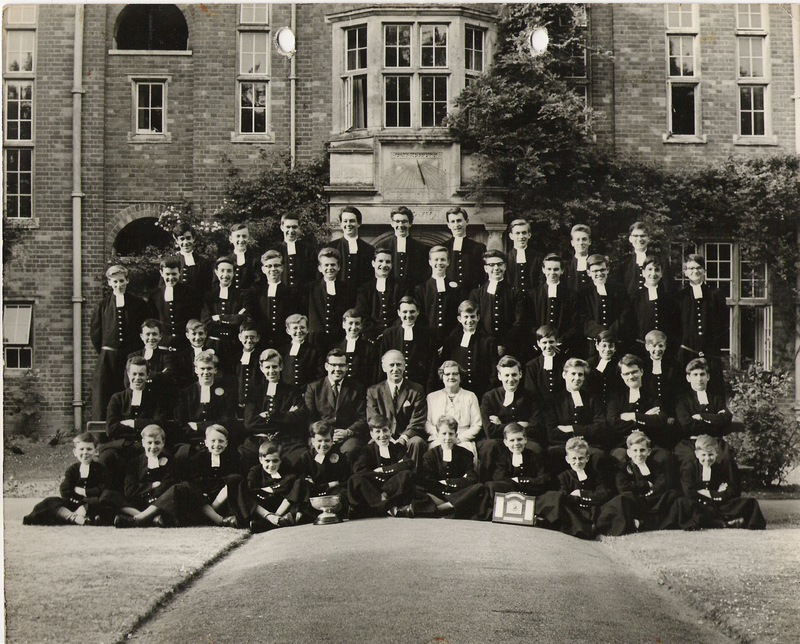 Prodger, Cotton, Chandler, Pitcher, Mr.Malone, Mr.Page, Miss Dalziel(Matron), Ironmonger, Porter, Tee, Drury. Webber S, Rhodes, Osborne, Timms, Goodhew, Smith, Rose, Benson, Thake, Tasker, Walter. So what do all the former Thorntonians reckon, on it changing to a girls' house? Personally after these 5-and-a-bit years I think it's quite sad. By the way, I hope you'll be pleased to know that we did rather ell in House Singing this year. We won the partsong with 'Goodnight sweetheart', and our unison (YMCA!) came runner-up. I believe it's the first time we've won anything in that field since the 1960s. Incidentally "Linton" on the 1962 picture is Martin Linton, now the Labour MP for Battersea. 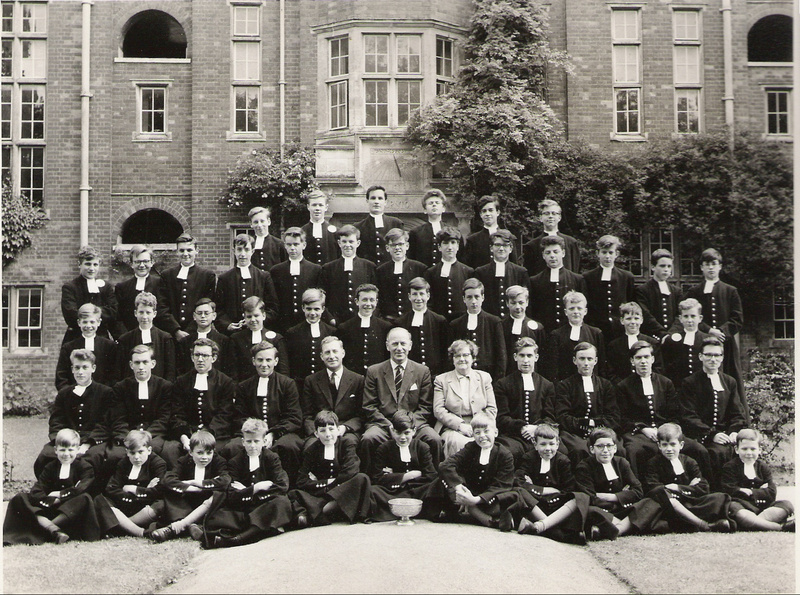 Mr Page, the housemaster in 1962/63, had previously been housemaster of Thornton B. He moved to Thornton A, because having got married* (in 1960, I think), he found that living in West Gun Copse road (about 150 yrds away) was "too far". He was succeeded in Thornton B by Pat Cullen, who proceeded to get married himself, and for a time lived in Worthing (!). * He married the daughter of his colleague "Boom" Macnutt (Ximenes, the crossword writer). in the 1962 photo, I think you will find that ex Barnes B is Ledeboer, Nigel, if I remember correctly. Got his colours at rugby. His brother, Pete, remained in Barnes B, whopping the bass drum. Paddy Cullen was also ex Barnes B, we seemed to export a lot. jhopgood wrote: in the 1962 photo, I think you will find that ex Barnes B is Ledeboer, Nigel, if I remember correctly. Got his colours at rugby. His brother, Pete, remained in Barnes B, whopping the bass drum. It went both ways. John Watts and Noel Kirker both went from Thornton B to Barnes B. 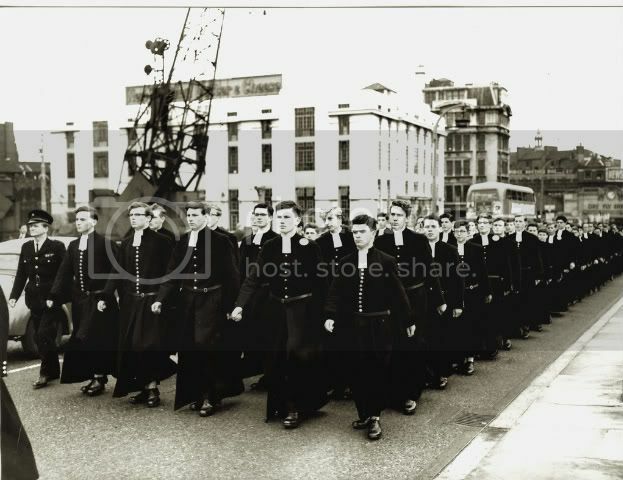 This is Thornton B at the head of the St Matthew's Day parade in 1962. The SG Mike Pitcher had been in Th B until the previous July, he moved to Th. A. I am next to him. 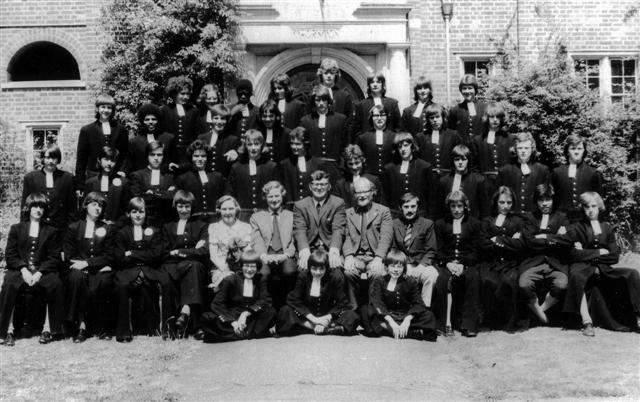 coorrr...just come across this.....photo from JDS is interesting - JMC looks like I remember him as does JDS. I think this must be summer 74 ish or thinking about it 75. Peter and William Hatt-Lipscombe jump out as do the Sandys brothers and Peter (?) Oliver. I'd left the school by then but what a memory jerker! Hopefully a photo with me on it wont appear!!! Last edited by Chris Blewett on Sat Mar 05, 2011 6:42 pm, edited 1 time in total. 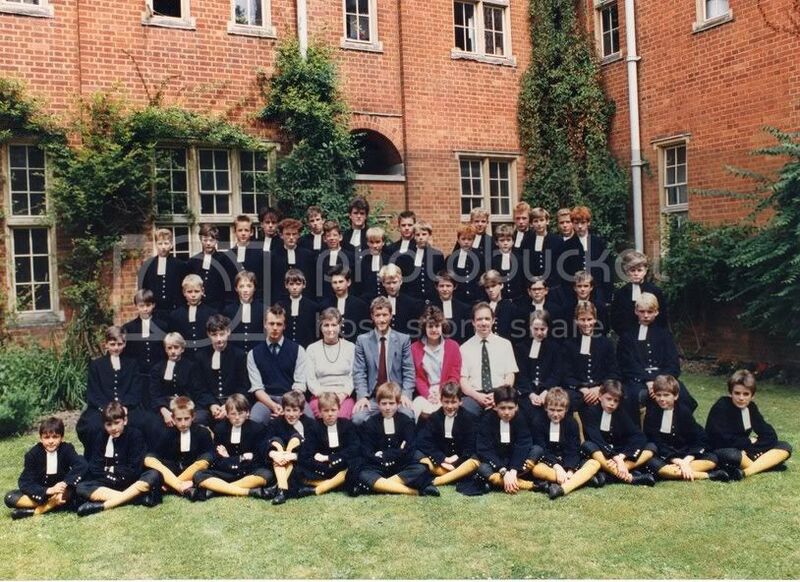 Three rows back, I believe is Peter Chapman, the year before me in my junior school, Wyborne, and behind him is David Norgrove, who has his own entry in Wikipedia.